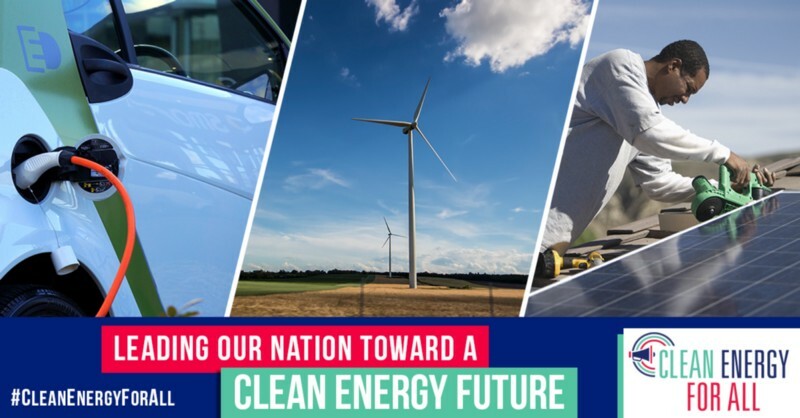 The Conservation Voter Movement — made up of the League of Conservation Voters (LCV) and 30 affiliated state organizations — has launched “Clean Energy for All,” a network-wide effort to help our country achieve 100 percent clean energy by 2050. This vision — one that reduces pollution, expands clean energy, and protects communities — is enormously popular with people of all political stripes across the country. When people are given the power to choose their energy sources, they prefer clean energy. Why don’t we already have Clean Energy for All? Despite the fact that prices for clean energy have consistently gone down while demand has gone up, we simply cannot rely on the current federal government to accelerate the shift to affordable clean energy. The current absence of federal leadership on clean energy — which stands at odds with people in all political parties — is a symptom of polluting industries’ disproportionate influence and the vast amount of money they spend amplifying their profit-motivated interests, which include limiting our access to clean energy. Similarly, at the state level, polluters can have a stranglehold on energy choices, making access to affordable, clean energy beyond the reach of whole communities. And all-to-often it is communities of color and low-income areas that are particularly saddled with the environmental costs of our energy economy. Why focus on states, cities, and localities to achieve Clean Energy for All? Across the country, states, cities, and localities are leading on clean energy. And this progress is happening independent of political affiliations, through multiple policy-making structures, ranging from ballot measures to state-wide legislation to district and city level initiatives. For instance, in 2016, voters in Florida passed a ballot measure to unlock solar energy and rejected a polluter-backed anti-solar measure, all in a state that voted for Trump. And following the 2016 elections, Michigan, Ohio, Maryland and Massachusetts — all states with Republican governors — passed clean energy legislation with bipartisan majorities. Furthermore, in cities like Anchorage and Boise, mayors and city councils are pursuing bold, local clean energy plans, and in Nebraska, a public power district has signed off on the largest solar project in the state’s history. Lastly, in Colorado, the utility Xcel Energy plans to retire two coal-fired power plants and dramatically increase solar and wind sources thanks to ongoing organizing by activists and community members. State and local progress on clean energy is wide ranging and widespread — we need to keep the momentum going, it’s how we’ll achieve 100 percent clean energy by 2050. How do we get closer to Clean Energy for All? Securing commitments from candidates to move their state to 100 percent clean energy by 2050. In New Jersey in 2017, all the candidates for governor were pushed by New Jersey League of Conservation Voters Education Fund to elevate clean energy to the top of the agenda throughout the campaign. Then-candidate for Governor Phil Murphy committed to moving New Jersey toward 100 percent clean energy, and now, as governor, Murphy has already followed through on a variety of campaign promises to rejoin the Regional Greenhouse Gas Initiative (RGGI), build offshore wind capacity, and more. 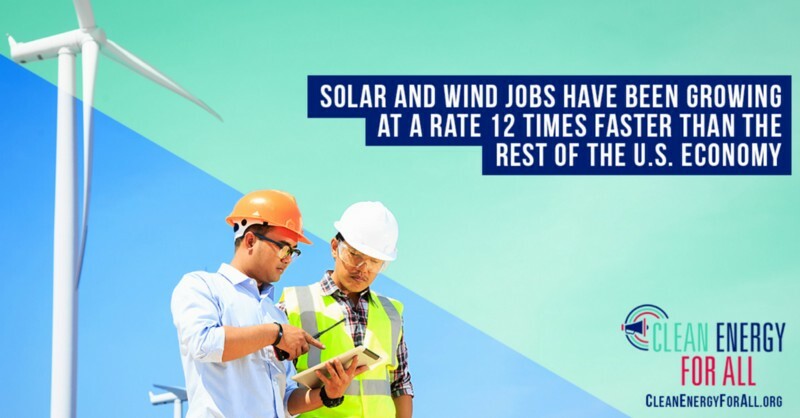 Support decisionmakers as they break down the barriers to clean energy with specific policy proposals, including increased clean energy standards, greater offshore wind commitments, and expansion of solar. States like Colorado and Minnesota have pushed local utilities to develop formal plans to move from coal to clean energy, and in Colorado it resulted in over 1.4 gigawatts of additional wind and solar energy. We’ll support these efforts, as well as California, Connecticut, Massachusetts, Maryland and New Mexico’s endeavors to increase their clean energy standards. Encourage legislators to hold polluters accountable by charging for carbon pollution and expanding carbon pricing programs. In Washington state and Oregon, advocates are pushing for measures that would charge polluters for carbon pollution, and in Virginia, Executive Order 11 will cut carbon pollution from power plants. These are enormous steps towards holding polluters accountable, and California and states involved in RGGI have similar ambitions. Win ballot initiatives that promote clean energy and reduce pollution. In 2016, voters in Florida took charge of their clean energy future by passing a statewide ballot initiative for solar energy and defeating a $26 million utility initiative that would have killed solar in the sunshine state. This year, states including Arizona, Nevada and Washington and more can do the same. Demonstrate the on-the-ground demand for clean energy and pollution-free communities. Our communities want clean energy, and they’re being heard: New Hampshirites are pushing cities like Concord to adopt plans for 100 percent renewable energy, and similar efforts are underway in several states including New Jersey, Idaho, and more. Push for smart investments that reduce air pollution. 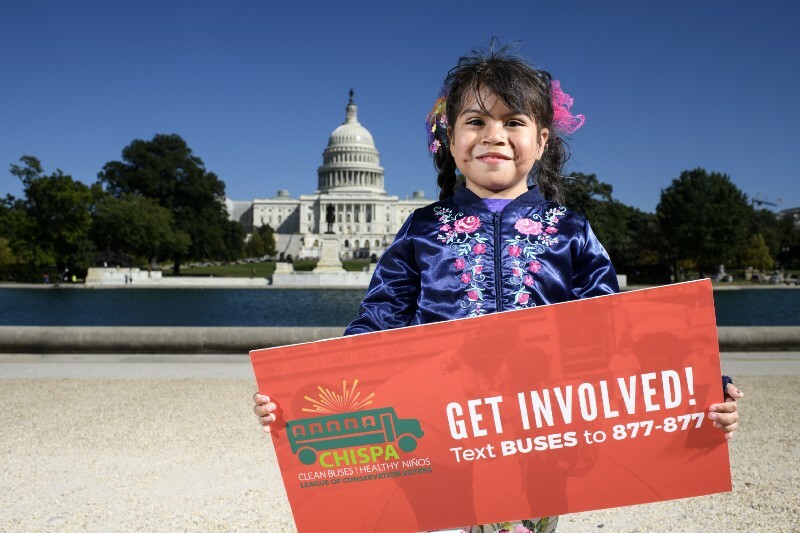 In Arizona, Colorado, New Mexico, Nevada, Connecticut, Maryland, and New York, the Clean Buses for Healthy Niños campaign is calling on governors and school boards to use state Volkswagen settlement funding to convert dirty diesel school bus fleets to zero-emissions electric buses. These are the types of investments that will bring us closer to pollution-free communities. 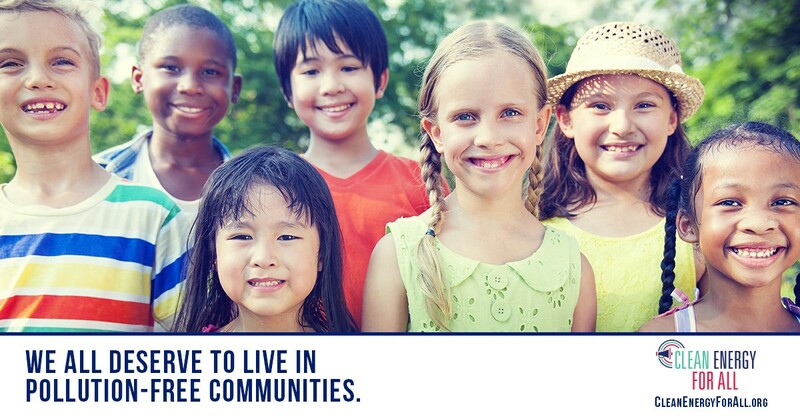 The League of Conservation Voters (LCV) works to turn environmental values into state, local, and national priorities.